Attend the 2019 Monaco Formula 1 Grand Prix in Style! Want to go to The 2019 Monaco Formula 1 Grand Prix? The Monaco Grand Prix (French: Grand Prix de Monaco) is a Formula One motor race held each year on the Circuit de Monaco. Run since 1929, it is widely considered to be one of the most important and prestigious automobile races in the world and, with the Indianapolis 500 and the 24 Hours of Le Mans, forms the Triple Crown of Motorsport. The circuit has been called “an exceptional location of glamour and prestige. Millionaire’s Concierge can get you to Monaco in style. Have a vacation that you won’t forget! Enjoy VIP access, lavish accommodations, luxury transportation, prime seating and much more… All while taking in the best the that Monaco has to offer. It’s the most sought after experience of the Formula 1 season. The glamorous 2019 Monaco Grand Prix is one of the world’s most challenging competitions, not to mention one of the most exotic and prestigious events in all of sport. We are proud to offer an extensive list of viewing options, so our guests can experience the event in true luxury. Choose to watch this prestigious race from a premium grandstand, the exclusive comfort of a circuit-berthed yacht, or an exclusive hospitality venue including the paddocks and the Millionaire’s Concierge Grand Prix Hospitality Lounge. 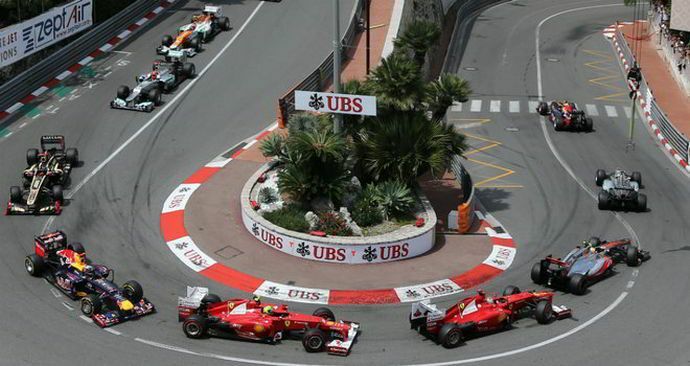 Why should the races be the only exciting element of your Monaco Grand Prix experience? When you enlist the services of Millionaire’s Concierge, we can arrange world-class hospitality before and after each race. The Monaco Grand Prix is an annual race that takes place in May. In order to accommodate you, please provide us notice of at least a three months in advance.